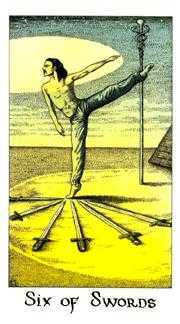 Use a combination of technical skill and intuition to reach your goals. 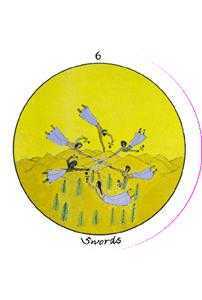 The Six of this suit has generally been associated with the objectivity of scientific method, employed through the generations to sift fact from superstition, build facts into theories, and theories into laws which we can trust and use to improve our lives. 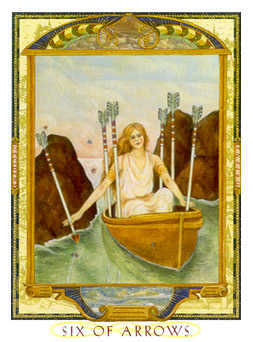 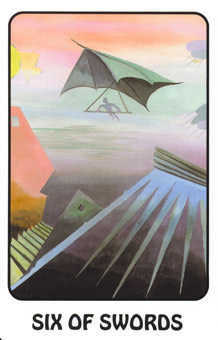 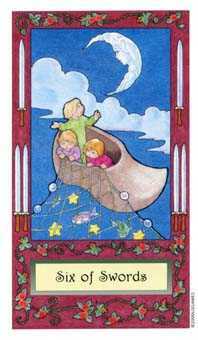 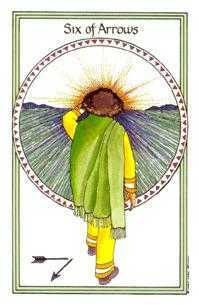 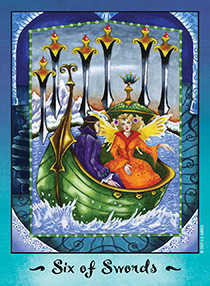 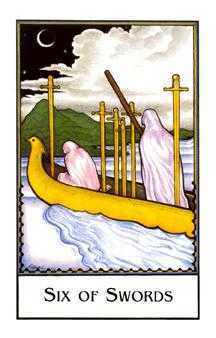 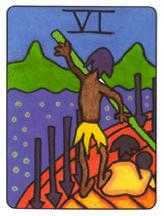 One early title for this card was The Navigator -- one who has learned enough about the relation between the Earth and the heavens to be able to set a course across trackless oceans and arrive at a chosen spot on distant shores. 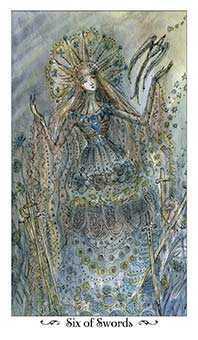 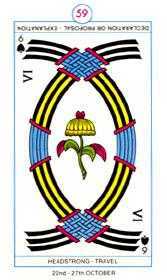 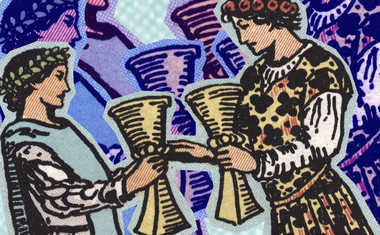 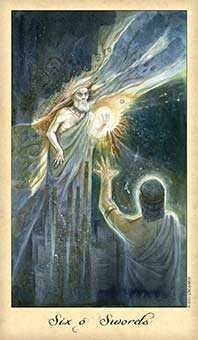 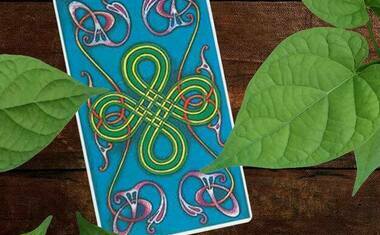 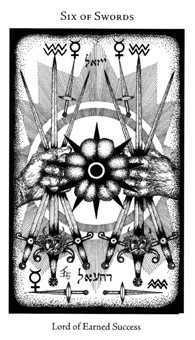 At the time of the first Tarot decks, this skill was considered akin to magic, so few were the individuals who understood the principles involved. 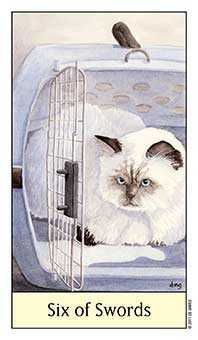 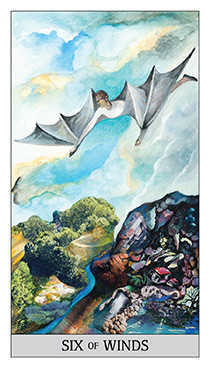 So the person who draws this card is being typified as a person with special knowledge, an insight into sophisticated techniques that may be powerful enough to effect a rescue in a dangerous time. 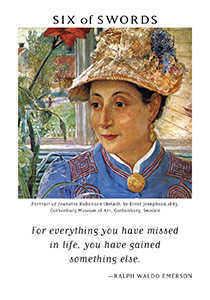 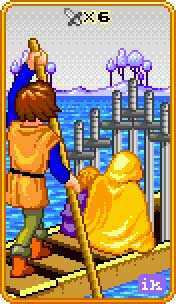 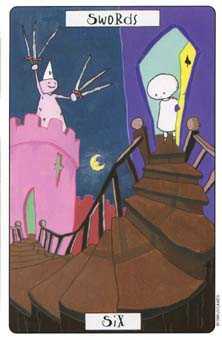 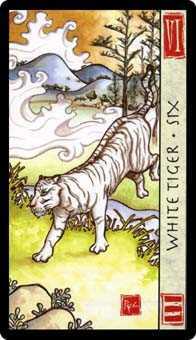 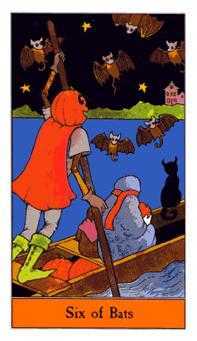 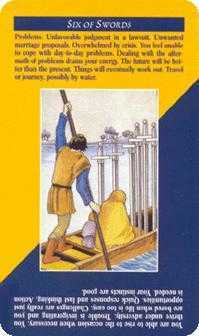 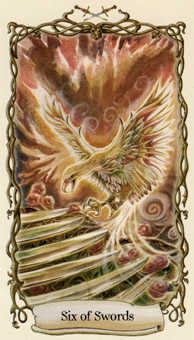 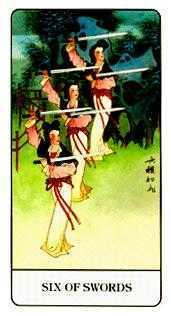 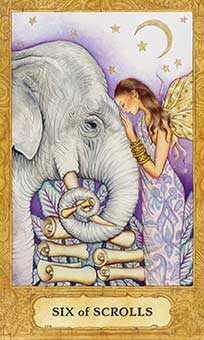 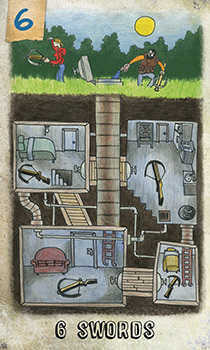 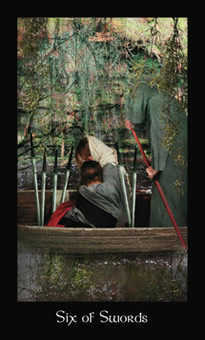 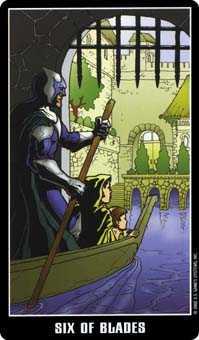 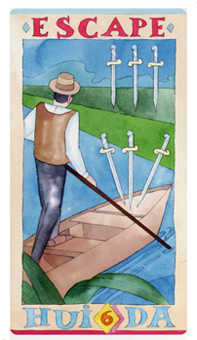 Other related titles that are common to this card are The Path (out of danger) and The Way Through. 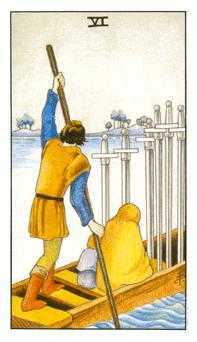 Others will be grateful that you responded quickly to the need for immediate action. 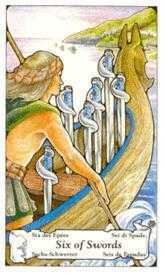 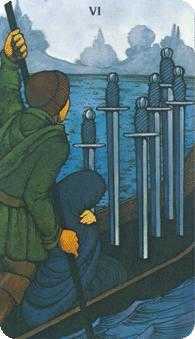 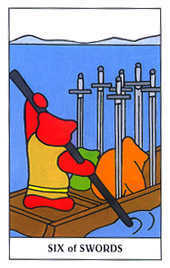 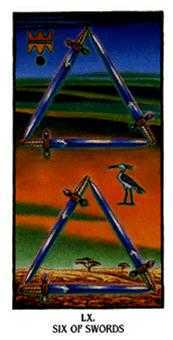 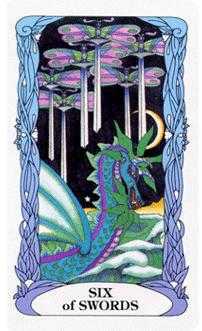 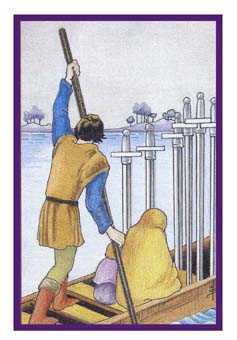 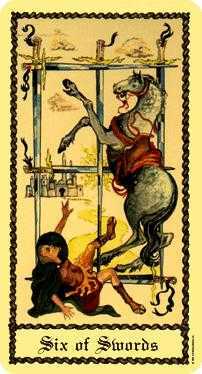 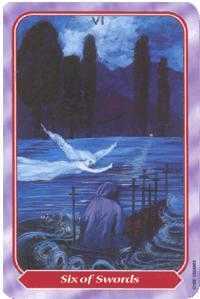 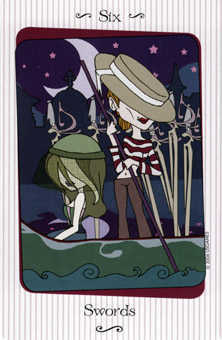 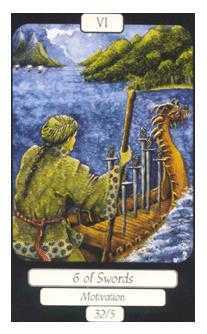 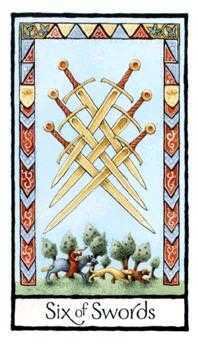 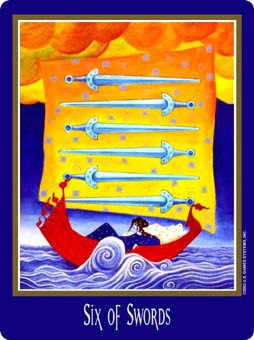 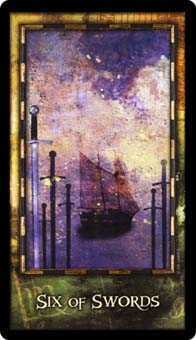 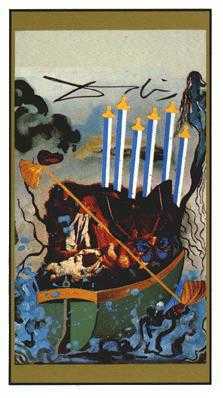 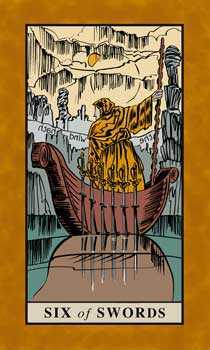 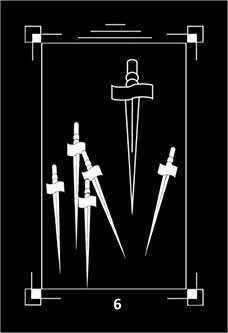 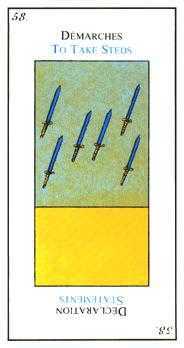 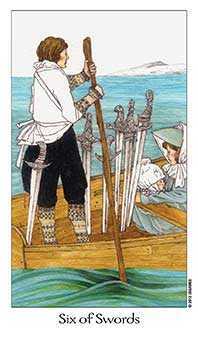 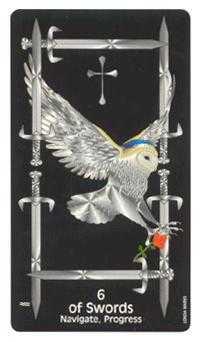 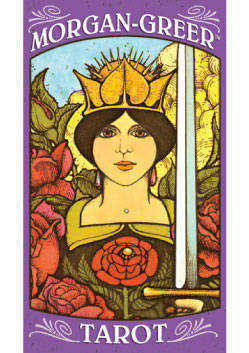 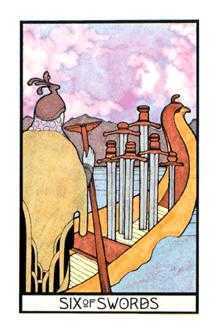 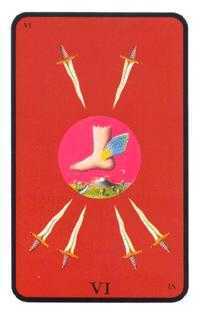 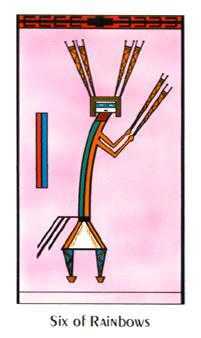 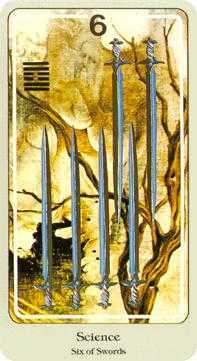 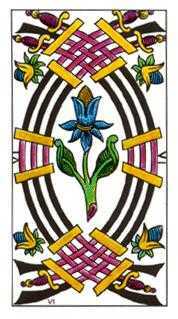 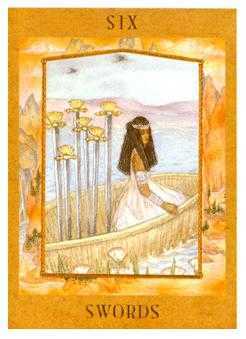 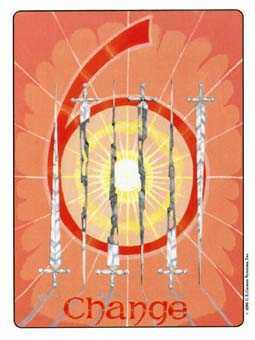 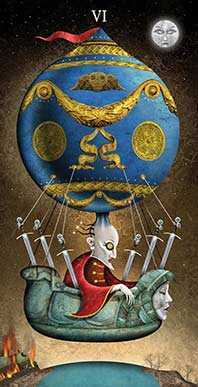 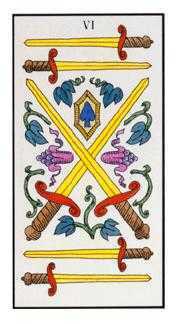 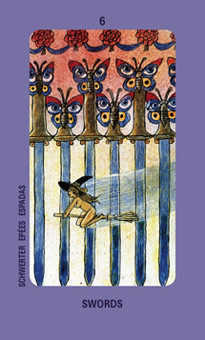 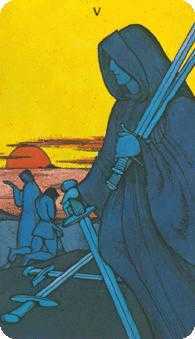 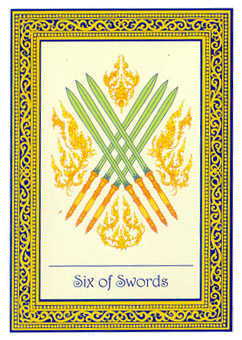 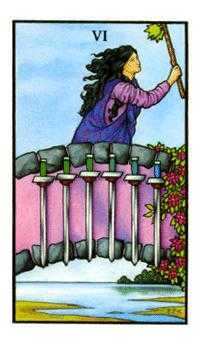 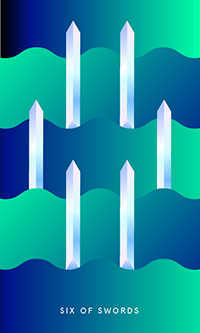 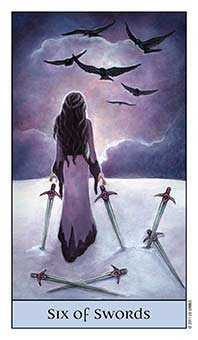 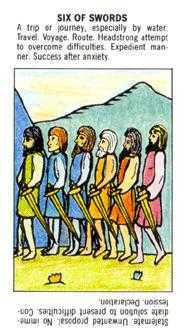 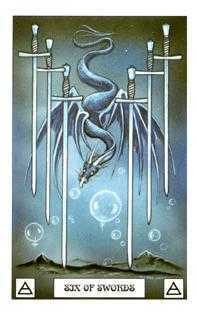 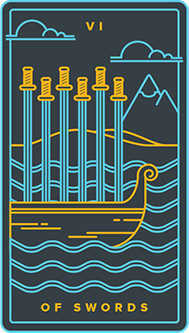 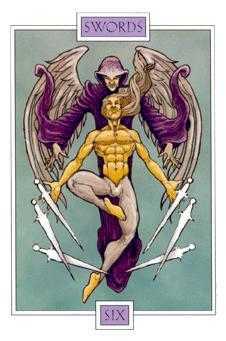 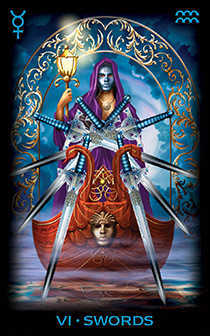 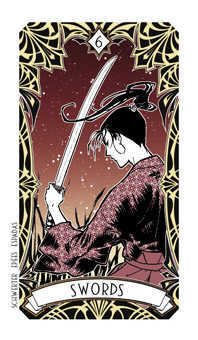 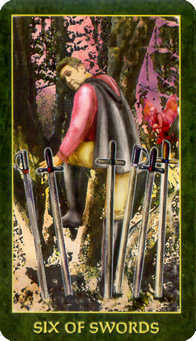 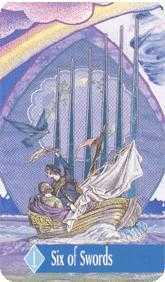 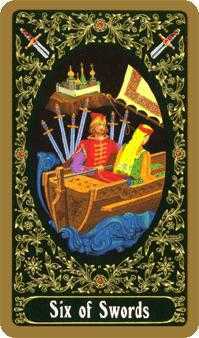 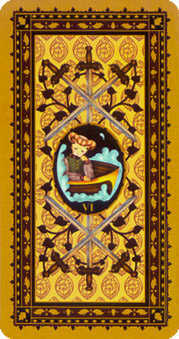 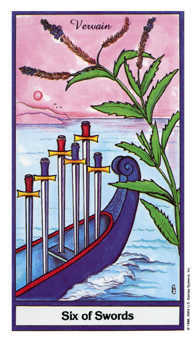 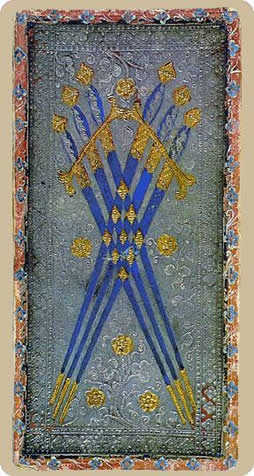 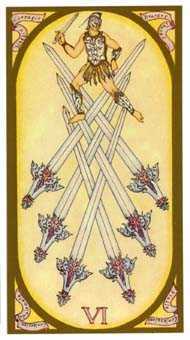 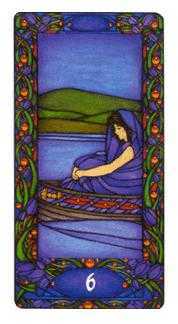 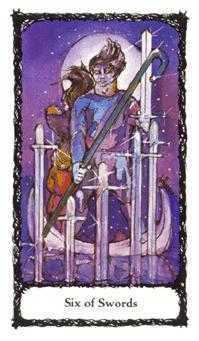 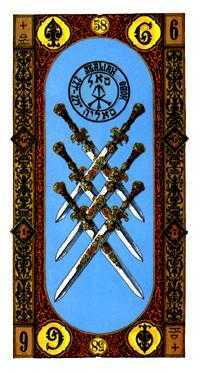 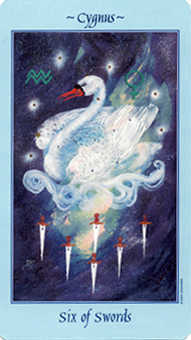 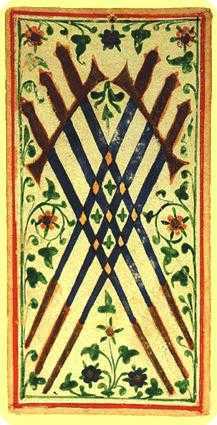 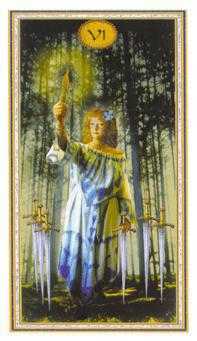 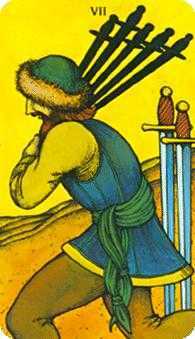 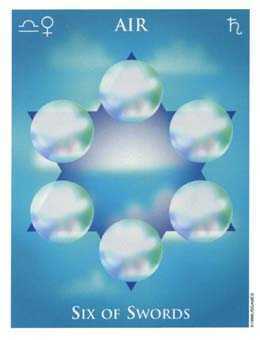 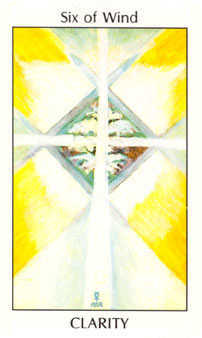 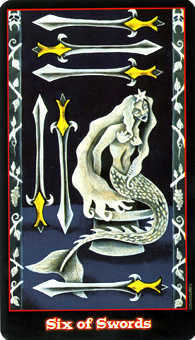 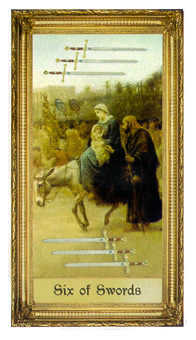 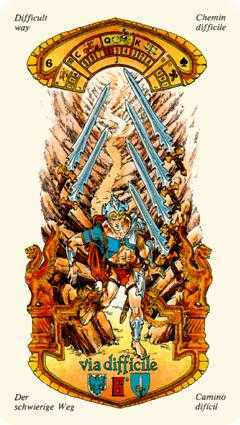 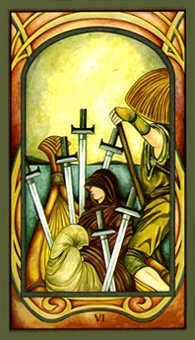 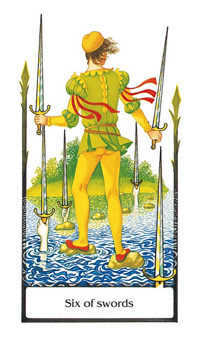 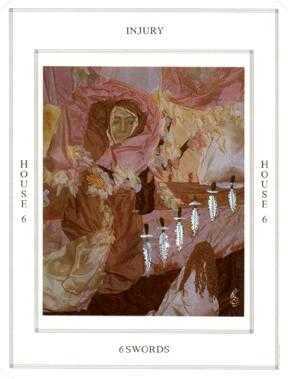 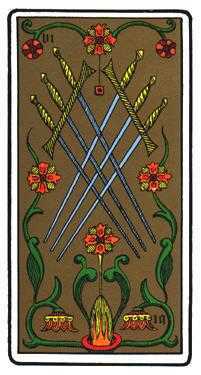 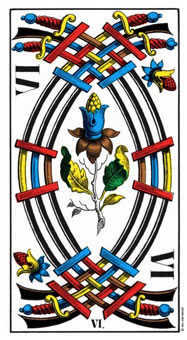 The Six of Swords in this position reminds you that time is of the essence. 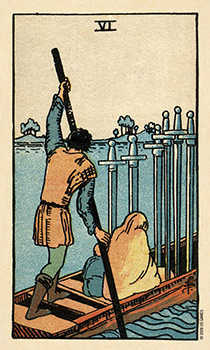 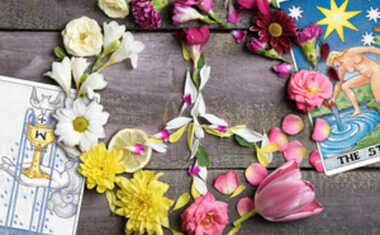 You've seen the big picture, and good ideas have occurred to you about what needs to be done. 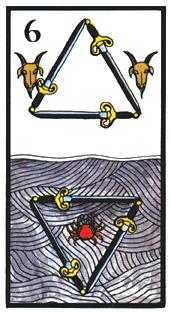 Now it is necessary to take action. 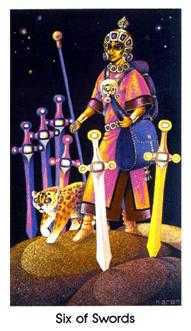 There may be no more time for debate. 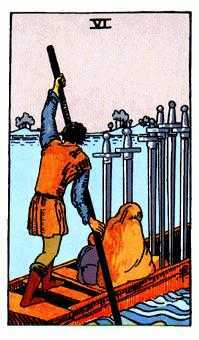 If the game plan has become clear, your next step could be to commit yourself to pursue changes that will lead to improvement. 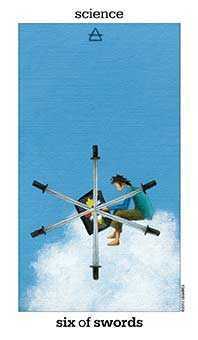 Overcome the tendency to get distracted. 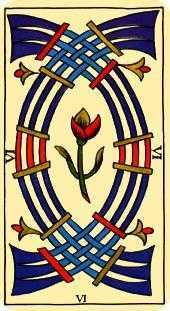 You do not have time for approval seeking. 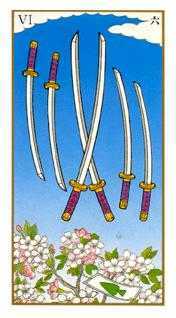 Once you initiate action, others will be grateful for your clear thinking and quick reflexes. 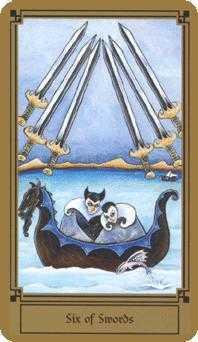 It's a special gift to be able to navigate in times of rapidly changing and unpredictable circumstances, when a cool head and right timing are most essential.